Don't miss out. There's only 5 available and 15 other people have this in their cart right now. Don't miss out. There's only 1 available, and 15 other people have this in their cart right now. Two toed sloth enamel pin! 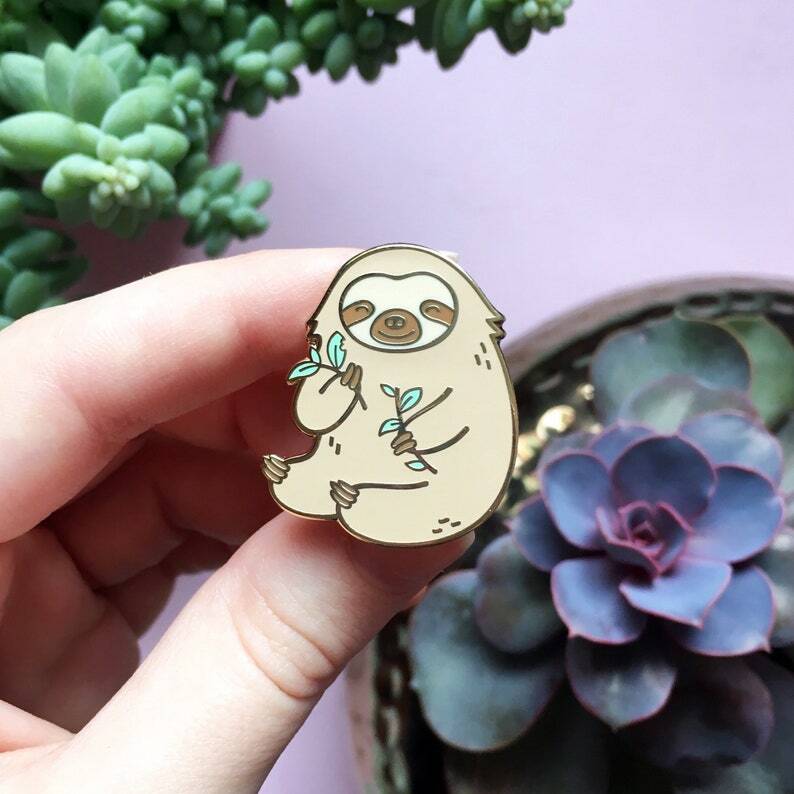 This sloth pin is a great addition to any bag, jacket, shirt or anywhere else you want to add a cute little touch. This gold plated enamel pin measures 30mm tall (roughly 1.2 inches) and is made of high quality hard enamel that is super smooth! It also comes with two pink rubber clutches and a double pin post to make sure your pin is extra secure! The pins are packaged with care on a random coloured backing card and sent via first class Royal Mail to the UK, or standard Airmail for international orders. Tracking is available too! Very lovely motif and great quality. Came as promised on time, too. Thank you! Got two Sloth Enamel Pins and gave them as a gift. They were a big hit! Very nice quality and service. Will my item have tracking? Not for standard Etsy orders, however there is a tracking option available at check out! Also all USA orders on shopzoki.com come with tracking! Do you add a printed receipt to orders? No, as I try to cut down on waste where I can . If you would like one though please do let me know! All Etsy orders ship from the U.K.
We do also have a US website (shopzoki.com) that ships from USA and U.K!